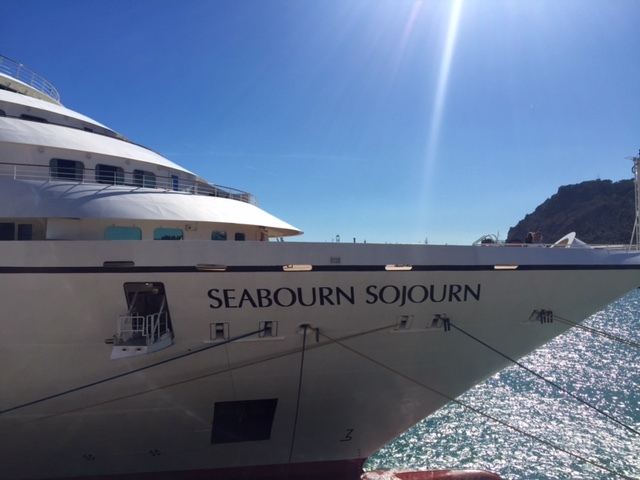 After 3 fun-filled days in Barcelona, I boarded the Seabourn Soujourn to visit more of Spain plus stops in Italy and France. 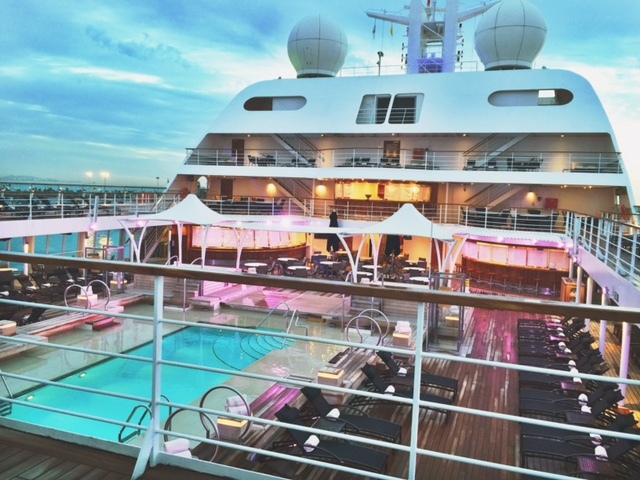 This is my second cruise with Seabourn and I’m so excited to be back on this luxury line. 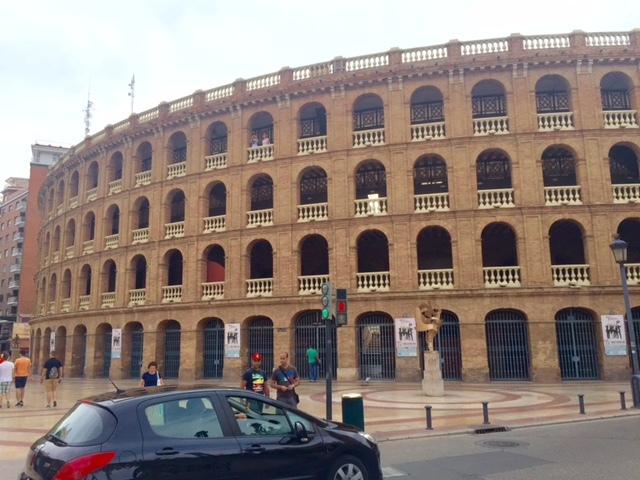 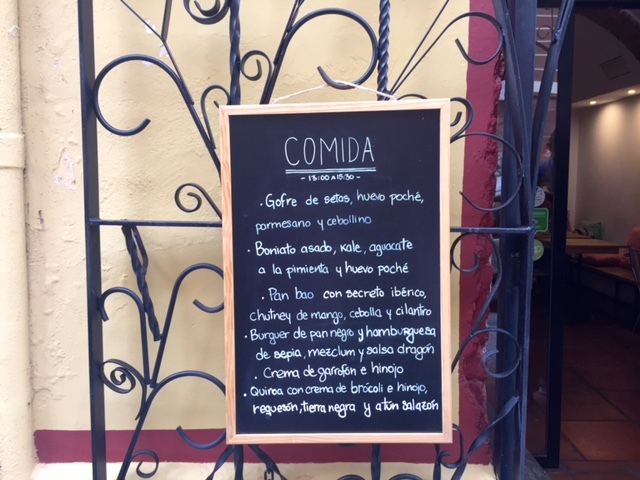 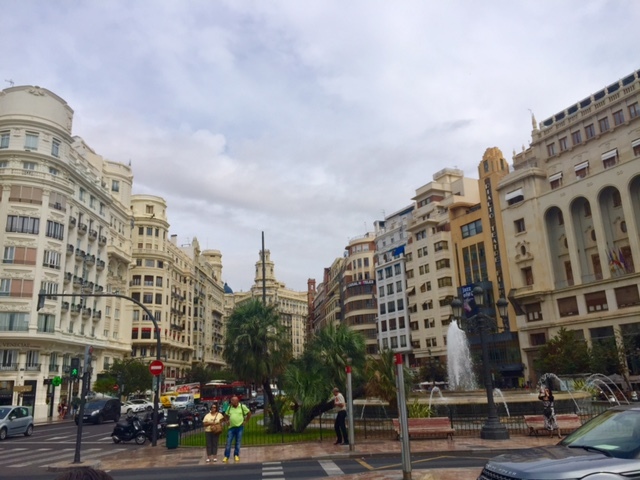 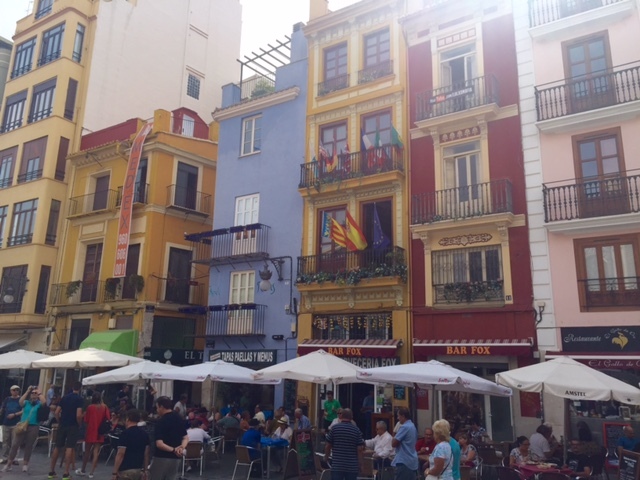 Our first stop yesterday was Valencia and it had a completely different feel from Barcelona; a little more relaxed but still the same charming ‘old world’ feel and plenty of Tapas. 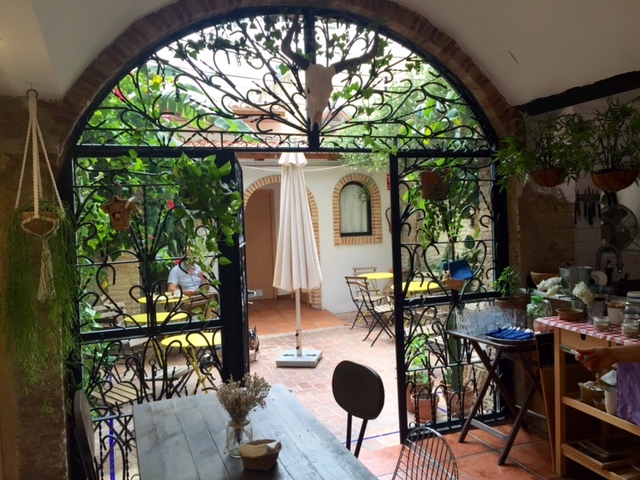 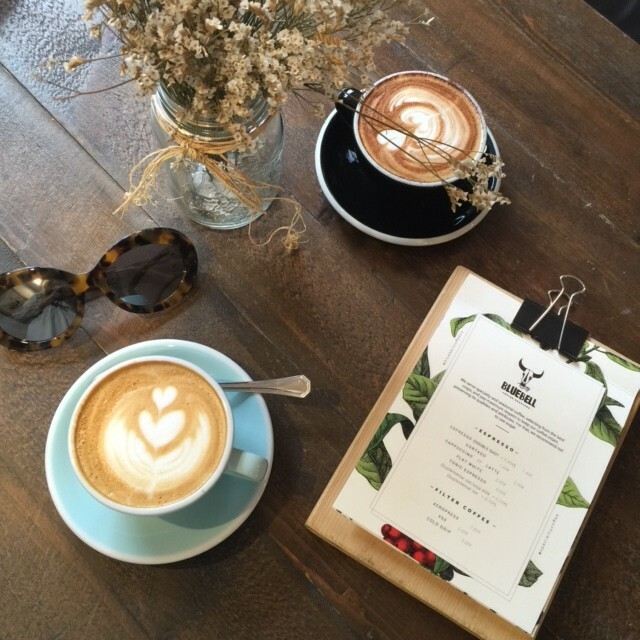 We found a great specialty coffee cafe, Bluebell Coffee, where we fueled up for our long walk to the old town and indoor market. 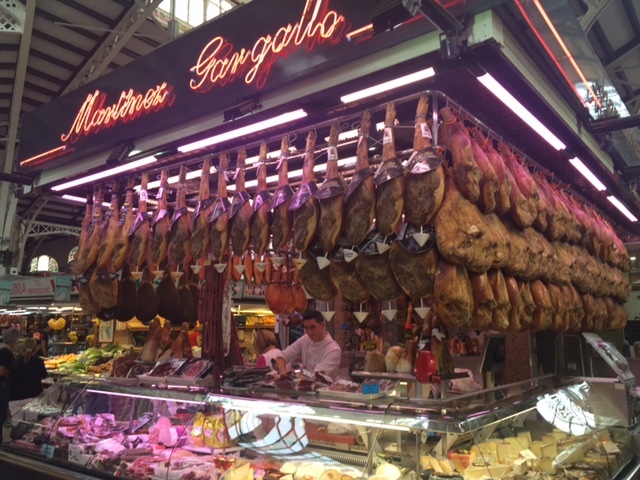 I knew that Spain was known for it’s ham but I honestly had no idea that there would be so many ham shops and I heard that there is actually a ham museum here!